It’s been quite a while since we talked about CleanMyMac – the award-winning software designed to free up your Mac from the web sewed by internet junk. Now we’re coming to you with the CleanMyMac 3 review. 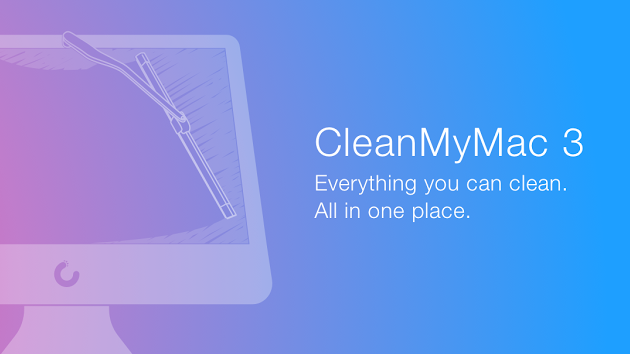 This current version of the app brings much-wanted updates on top of the already incredible basis of Clean My Mac 2. You can check out our review for that here. As for now, we’re going to do a recap of the features common between the past and current versions, as well as bringing you up to speed with what CleanMyMac3 has to offer. But before we go on to the features of this new version, some of you may be wondering why to use such a program in the first place. There is a common consensus that Macs are awesome because of the fact that they don’t need these types of softs, unlike their older brothers on Windows. And it’s true – a concept popularized by the all-mighty late Steve Jobs – Macs just work. But that doesn’t mean that a software such as CleanMyMac3 isn’t useful – far from it! It’s like a drain cleaner. Every time you download something off the web, a small trace of it remains stored somewhere in a more obscure corners of your hard-drive. Unlike Windows where all your junk stays on your desktop until you decide to clean it, Macs store far less of unwanted data. But they still do. And this residual data tends to pile up, especially because it’s not bugging you at all until it actually becomes a problem. You can look at your Mac as a discrete hoarder. And CleanMyMac 3 is the perfect solution to all your Mac’s problems. Cleaning Mac System Junk: the trash that your system automatically generates: obsolete binaries, browser caches, app caches, logs, and a lot of language packs that you’re never going to use (you might learn Chinese, but never Chinese, Japanese, Hindi, and Swahili). Sorting out your email: give it permission and CleanMyMac3 will sift through your thousands of unimportant emails, leaving you with a clean inbox and a much, much lighter heart. Maybe it will even find your accepted job application from three months ago that you never got to read! Throwing out your iPhoto junk: every time you edit an image, your Mac makes a copy of the original in case you are horrendously bad at Photoshop. But if you’re not, you’re going to want to get rid of these copies. Throwing out your iTunes junk: basically, every time you download an iPhone or iPad app, a copy of it is saved on your Mac. This is a precaution, although widely regarded as unnecessary. CleanMyMac 3 removes these leftovers, along with other stuff that piles in your iTunes folder. Takes out the Trash: a routine task, but did you know that there are other, hidden bins in the chambers of your hard drive? Yep! All the places mentioned above: iPhoto, iTunes, your email – all have their own junk that’s different from what we’ve just mentioned. Gives you a detailed report of your old files. Some fossils in your Downloads folder can be turned into fuel (i.e. can still be useful). Others are just monumental piles of nothing. CleanMyMac3 gives you an update on your biggest and oldest files, letting you decide which to keep… and which to send into oblivion. Other features of the Clean My Mac program include a very potent uninstaller, maintenance (scheduled or manual), checking obsolete widgets and other extensions, privacy settings, and the shredder. What does the shredder do? Obliterates your files, completely removing any trace something was once there. Like with previous versions, CleanMyMac 3 does not come free-of-cost. Sure you can download the free, trial version, but this will only last you about a day. With the trial version of CleanMyMac 3, you can only empty up to 500 MB at a time – which is practically nothing these days. So the way to proceed is to download CleanMyMac3 trial, purchase a CleanMyMac3 activation number, enter the provided CleanMyMac3 serial into your trial version, and that’s it! Now you have CleanMyMac 3 full! Your mac will never freeze again. We not only strongly recommend CleanMyMac 3 – we believe it’s an absolutely necessary tool if you want your Mac to work like a Mac, and not slowly turn into a shinier version of your old Windows computer! If that’s all for now, we’ll leave you with a thought: cleaning your Mac is like cleaning the dust under your rug, you don’t have to do it, but it nonetheless helps a lot.